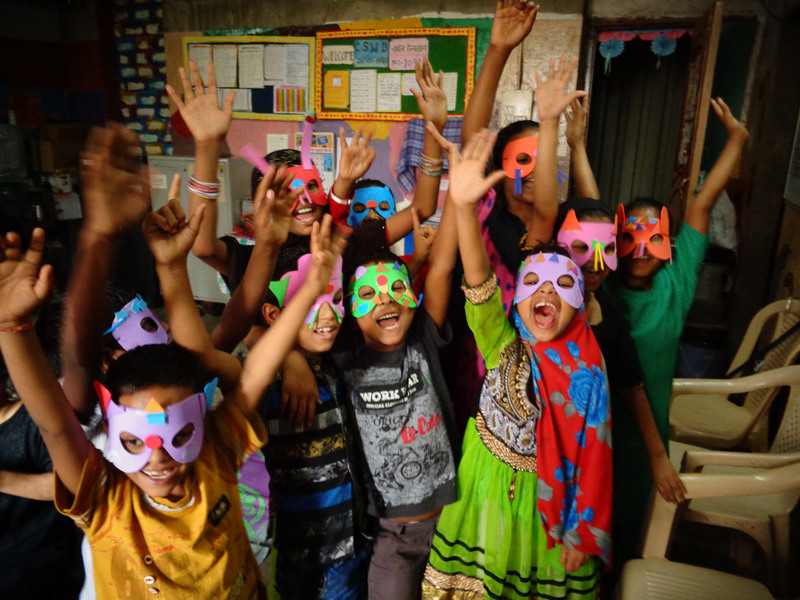 Mumbai Mobile Creches works to provide children on construction sites a safe, happy, healthy childhood. Just two days after Pushpa gave birth to her youngest child Geeta (names have been changed for confidentiality) in Mumbai, she had to leave the baby with her 13-year old daughter Meena to return to work as a domestic labourer near their home on a construction site. 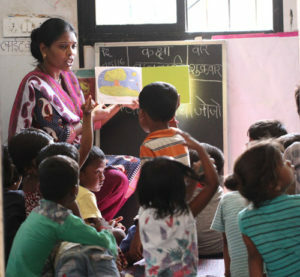 Children attending Mumbai Mobile Creches receive a structured Early Years curriculum in a safe environment. Each day Pushpa didn’t work meant a day without pay, and the family couldn’t afford to go without her income for too long. Five years earlier Pushpa and her husband had migrated to Mumbai from Medinipur District of West Bengal for a better life. Her husband is a daily wage earning construction labourer. Merely a child herself, Meena became Geeta’s nurturer. When the family moved to live and work on a construction site where a Mumbai Mobile Creche existed, Geeta was enrolled at the centre and Meena was able to attend school. Children attending Mumbai Mobile Creches receive a balanced meal and snacks. Now two years old, Geeta is under the daily care of the teachers at MMC who are trained in Early Childhood Care and Education and enabled to look after young children like Geeta. When she joined the MMC centre, Geeta was moderately underweight compared to her age. With a better diet and nutritional supplements, Geeta’s health is gradually improving.